I don't think I'll have much time this week to work on many projects. 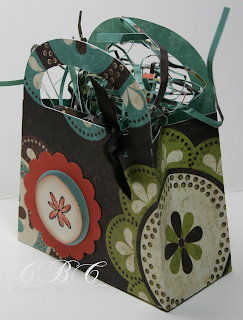 I used "Tags, Bags, Boxes and more" from the Cricut series. with the fit to page feature, Thanks Robyn for the video. The little stamp is from Stampin Up!.